Student loan debt has become an epidemic of sorts. These loans can be hefty and ultimately stressful. Many young people in America are scared to even make a monthly payment on their student loans. It could seem impossible to deal with due to the enormous balance that doesn't seem to go anywhere. When you are young you are impressionable. Today's millennials are no exception. 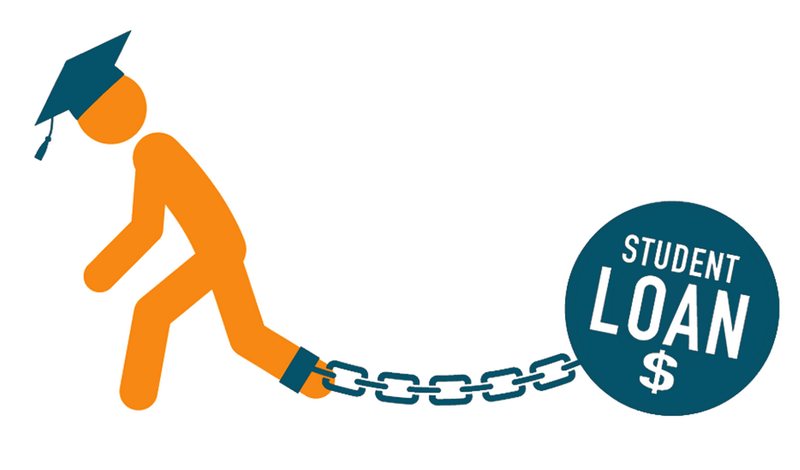 Accruing student loan debt is seen as a necessary burden essential to achieving their careers. Many find themselves employed following college. However, according to CareerBuilder.com about half of college graduates in 2014 were employed in jobs that do not require a college degree. To make things worse the student loan lenders begin hounding their "clients" immediately after graduating. If you are one of these clients you probably know by now that nothing in this world comes easier than debt. The chances of you having money to pay your student loan debts so soon is quite slim. Student loans. If reading those two words infuriates you don't worry. It should. Paying off student loans may seem impossible but there are ways you can help yourself out. The first thing you need to do is understand what type of loan you have. Some loans are eligible for certain benefits which may assist your situation. Check out the National Student Loan Data System (NSLD). This website is home to the U.S Department of Education's database for student aid. Only federal student loans are eligible for this aid. In my experience I've talked to more individuals with federal loans than those with private ones. A good idea for those who are unemployed or "between jobs" is deferment or forbearance. A deferment or forbearance allows you to temporarily stop making your federal student loan payments or to temporarily reduce the amount you pay. This could be helpful if you are in danger of defaulting on your loan. A default occurs when you have not made your monthly payments for an extended period of time. In the case of a default, the lender make execute legal action in order to get their money back. Dealing with student loans is tough. Believe it or not there are programs available from the government and other sources that could make your payments easier.